Sun, surf, sand and some fresh vacation style might be just what the doctor ordered to shake those dreary winter blues. Line your luggage with these noteworthy trends you’ll want for a stylish warm-weather reprieve. Here are our picks for warm weather essentials. High meets low when you pair pieces with opposite proportions. Try a lightweight duster kimono with a mini skirt or leg-baring shift dress. You can also switch things up with a super long pair of high-waisted, wide-legged linen trousers coupled with a cropped tank. The key to keeping your look modern and intentional is to lean into colors that are trending. This season spans both spectrums: on one hand, you’ve got airy shades of beige, cream, white and tan for those effortlessly off-duty tonal ensembles. On the other hand, why not brighten things up with brilliantly saturated shades of saffron, goldenrod and deep rust which add a little sultry swagger to your look. Think your blazer is just for the board room? Not so! Pack a lightweight cotton blazer in a light hue and you might be surprised how versatile this structured add-on can be. Let it top a feminine frock for island-friendly style or pair with shorts and a tank for a quick infusion of preppy polish. Use this out-of-the-box thinking before you count any closet staples out of your vacation repertoire. We’ve said it before: wearing breathable materials in warm climates ensures you feel as good as you look. 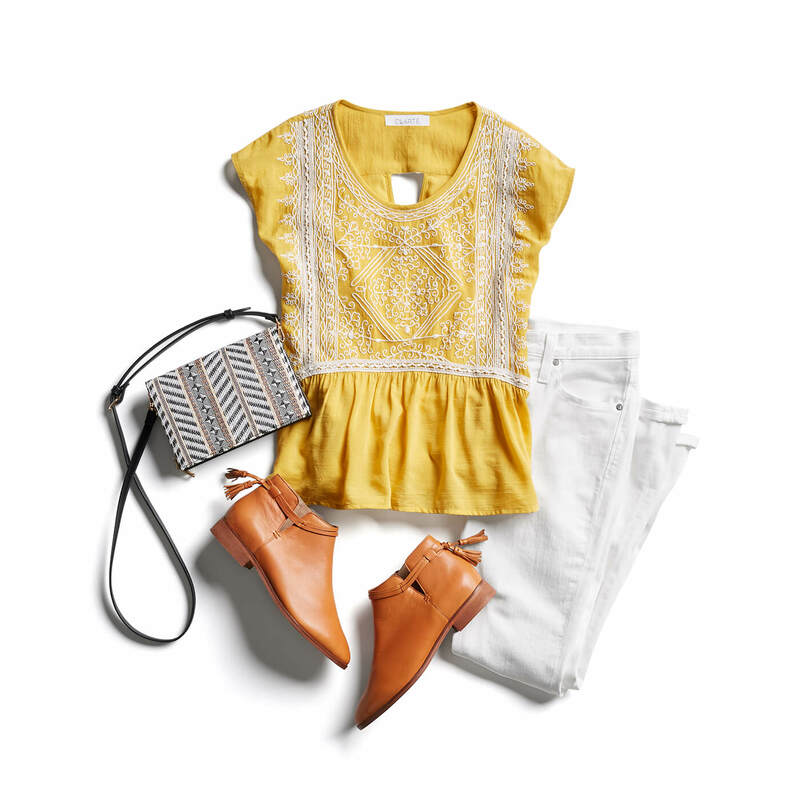 Don’t sweat it out in stuffy, stifling garments—reach for natural fibers like cotton or linen. Synthetic blends of viscose, rayon and Tencel also lend a silky and super lightweight feel to any garment. Whether it’s trying a new neutral palette, a dash of tie-dye or working a workwear staple into your vacay look, a little trend du jour goes a long way in warm-weather style. We don’t know about you but all this inspiration has us thinking, which way to the beach? What resort wear trends are you loving? Share with us in the comments below!